THE MEGA-CASH-A-ROO GIVEAWAY IS BACK! BE WATCHING THE TODAY SHOW EACH DAY FOR THE DAILY CODE WORD! Each day from Monday, 1st January 2018, TODAY will be giving one lucky viewer each day the chance to participate in the Mega-Cash-a-Roo Giveaway. All time and dates are times and dates in Sydney, which may be AEST or AEDT depending on the date. 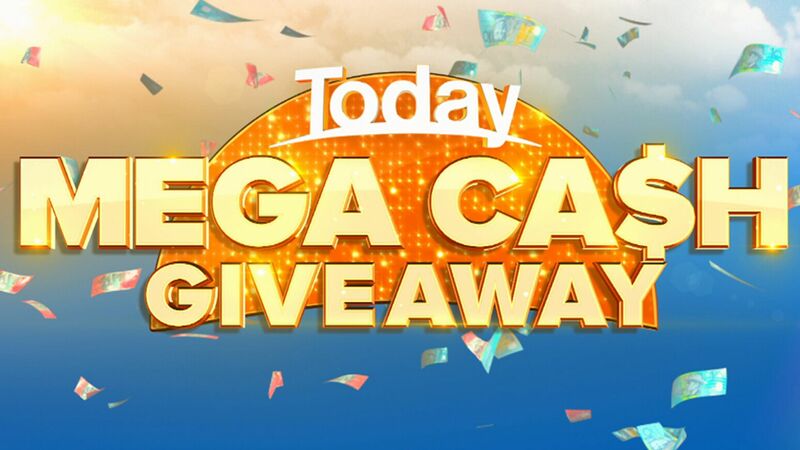 Participants can use their smartphone to log on to https://enter9.tv/today Click on theToday Show Mega-Cash-a-Roo Giveaway link and select the option they prefer. (number of entries – 1 entry for $0.55, 2 entries for $1.05, 5 entries for $2.50, 10 entries for $4.50 or 25 entries for $9.99). ). Entries via your smartphone will be charged according to your selection (ie $0.55, $1.05, $2.50, $4.50 or $9.99 (including GST)) and may include download charges in accordance with your mobile phone contract. Mercury Helpline 1300 914 815. Competition Start Date: 26/12/2017 at 05:30 AEDT. Competition Close Date: 20/12/2018 at 23:59 AEDT. Draw Dates: Sundays to Thursdays during the competition period at 12:10 AEDT/AEST. Total Prize Value: $2,550,000.00. Entry is open to residents of Australia where the Nine Network signal is received. Entrants under 18 years must have parent/guardian approval to enter. ACT: TP 17/02465, NSW: LTPS/17/20356, SA: T17/2314. WEDNESDAY 07/03/18 CODEWORD: SCARF ($20,000 jackpot for Thursday). THURSDAY 08/03/18 CODEWORD: WINDY ($30,000 jackpot for tomorrow's draw). THURSDAY 15/03/18 CODEWORD: EMERALD (Jackpot of $20,000 for Friday). FRIDAY 16/03/18 CODEWORD: WIZARD. (Jackpot of $30,000 for Monday).